MRA is proud to present the 2018 RUN 4 Your Cause featuring the popular Awesome Twosome 5K! Support a partnering organization of your choice by running or walking in Run 4 Your Cause 2018! 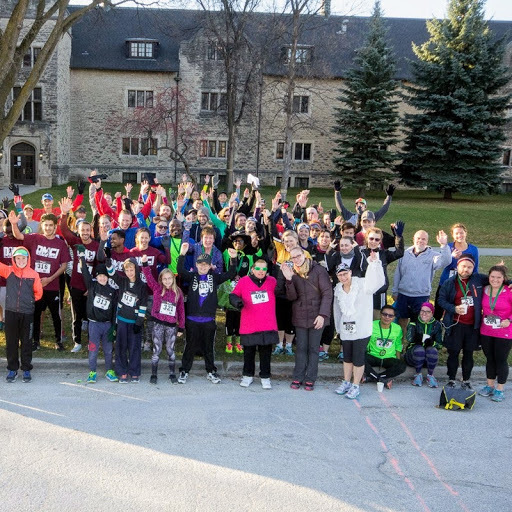 Choose beautiful scenery through the Assiniboine Forrest with the 3.3k, or Awesome Twosome 5k where you and your partner each run/walk a 5k distance in opposite directions! Give a high five as you pass each other along the way! $20 from your registration fee is donated directly to the organization of your choice! Bring the little ones and let them run the 400M Happy Feet Dash for $5! 10:00 am- Happy feet dash outside on the grass area (registrations for this event accepted until 930am at the Info table). Race Day Start time 9:10am Awesome twosome requires people to run in teams of 2 .If you do not have a partner, you can register as an individual and we will add you to a team with another participant. Price is per person.